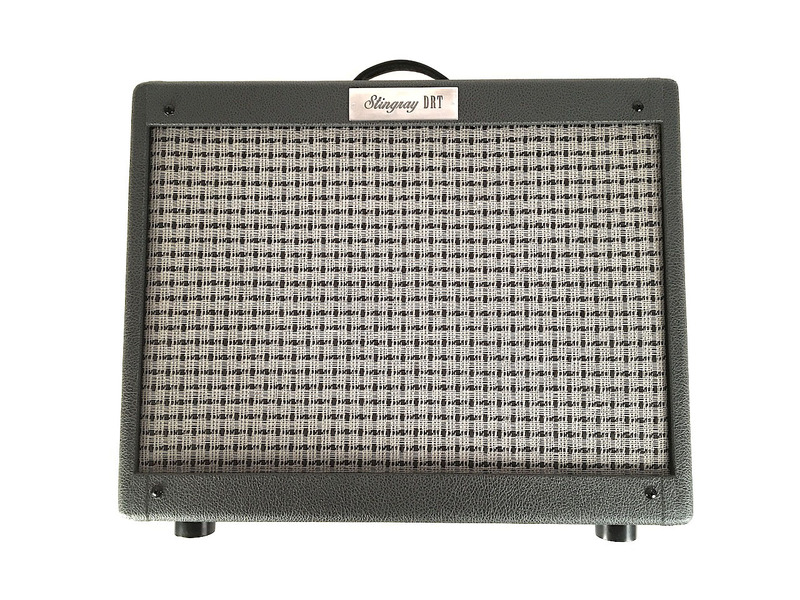 The Stingray is the latest Rerun amplifier. It is in a combo format with an output of 25 Watts. It also includes Tremolo and Reverb functions as well as the normal Mids and Tone frequency controls. 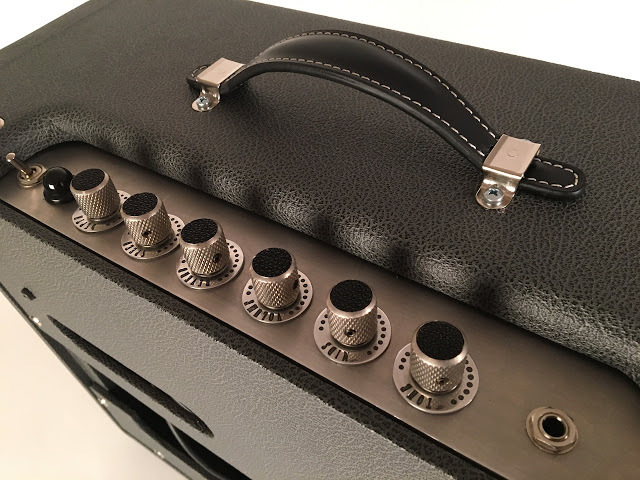 Nick was specifically looking for an amp to pair with his Nick Page Les Paul style guitar. As the guitar had a wide variety of sounds, he needed an amplifier that could reproduce them effectively. 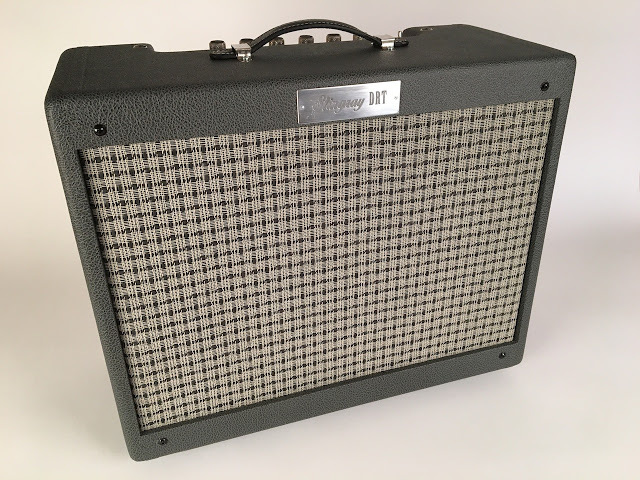 The main goal with this amp was to produce a warm, compressed tone. For this reason, I chose to use a pair of 5881 output tubes in cathode bias. With enough voltage and the proper output transformer ratio, this circuit can produce wonderful clean tones as well as smooth dirty sounds with ease. The rest of the circuit is also very simple with a pentode front end and a paraphase inverter. The lovely bespoke knobs and controls were produced here in Berlin by Bremio Instruments who also work with Nick Page Guitars.